So, we're running a little bit out of sync here, because in June we played two games: Scorched Earth and Strike Commander. The episode about Scorched Earth was posted about about 2 weeks ago. Since then we've been working on the next one, while July was running to an end. Oh boy! We think it was worth the wait though, because this episode is really something. 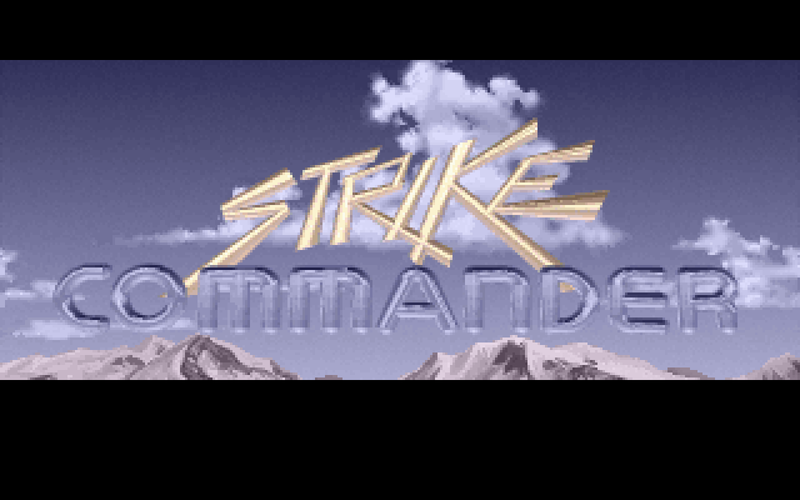 In episode 5 of the DOS Game Club Podcast, Martijn ("Tijn") and Florian ("rnlf") discussed Origin System's Strike Commander with the excellent Ben Lesnick. Ben has been a Wing Commander fan for a long time and somewhat of an "Origin historian", who has gotten to know many of the people involved with the development of the Wing Commander games, as well as Strike Commander and other games by Chris Roberts and Origin Systems. He helps to run the Wing Commander CIC fan site over at wcnews.com and is currently working with Chris Roberts on Star Citizen. Shout out to DGC member styryx who suggested Strike Commander to us. He sadly declined to join the podcast, but we're happy he suggested this great game to us! In July, we had great fun playing Command & Conquer. Our podcast about that game will follow shortly, so look out for that! 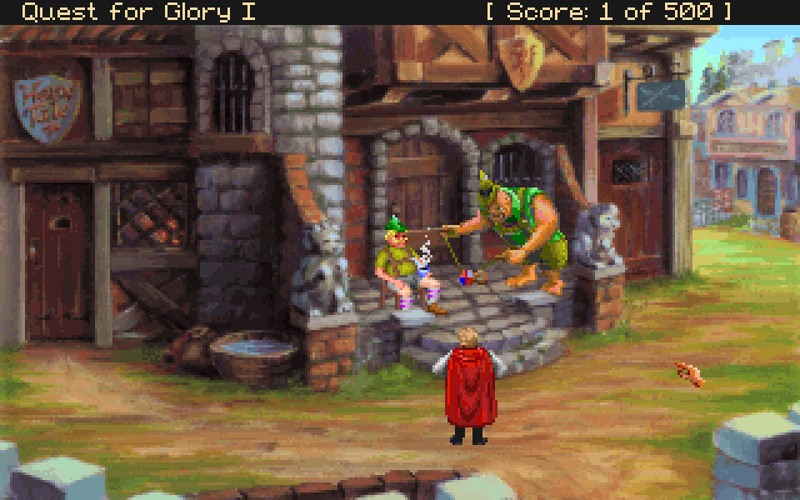 But now August is upon us, and DOS Game Club is playing QUEST FOR GLORY, by Sierra Online. Quest for Glory was originally released as "Hero's Quest", following Sierra's famous "Quest" naming pattern used in so many of their adventure games (King's Quest, Police Quest, Space Quest, etc). The name had to be changed however, because "HeroQuest" was trademarked by Milton Bradley & Games Workshop, so it became "Quest for Glory" instead. There are two versions of this game: the original released in 1989, featuring EGA 16 color graphics and a text parsing interface, requiring typing commands to execute actions. Later in 1992 a VGA remake was released, using a new engine which features VGA 256 color graphics and a mouse-driven point & click interface (no more typing!). While these two versions are quite different on the outside, they actually contain pretty much exactly the same game. The locations, characters, items, puzzles etc. are all but identical. You can play which ever version you want, or maybe even try both and compare the differences! As always, please hang out with us on either the forums or over on IRC at irc.afternet.org #dosgameclub. You can also follow us on Twitter. That's all for now. See you around and happy gaming!